Should you need the perfect tools for creating precision holes, check out the collection of holesaws and sets available at SGS Engineering. From kits to drill bits and blades, our range offers everything you need to create a flawless finish. Unlike twist drills, holesaws drill without cutting up the material. So, whether you need exact holes around the home or you are a tradesperson who wants to ensure everything is exact, these are a key piece of equipment to create a smooth finish. 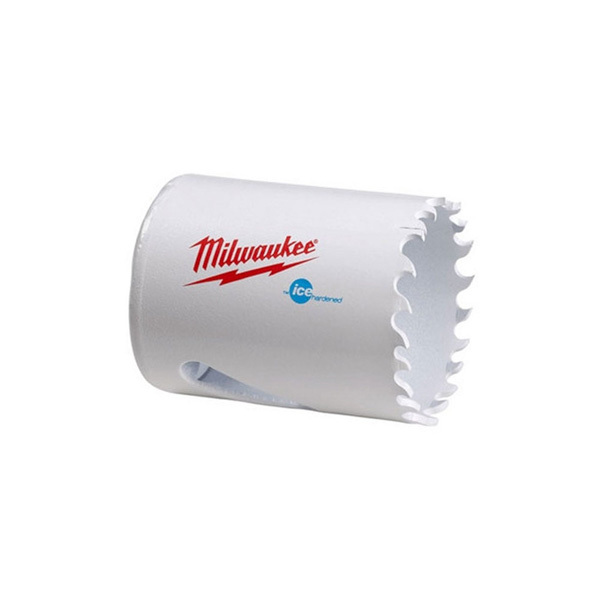 We stock holesaw blades by Milwaukee, a leading power tools manufacturer. These are from the Ice Hardened range, which lasts up to 50% longer than other blades. The hole cutters have been cryogenically treated in order to create a tougher product that cuts through materials such as aluminium, wood and cast iron. Available in a variety of diameters, ranging from 20mm to 73mm, these blades have an array of uses. Whether you need to do a smaller job like install light fixtures with a wood hole saw or you’re making connections in pipes, we have the hole cutter that should do the trick. No matter if you need a specific selection of hole cutters or full holesaw sets, you can browse our selection online. As well as offering a no-quibble returns policy, we also offer a free three-year warranty, giving you peace of mind. Buy your holesaw kit today and you can have those all-important DIY jobs done in no time.